During 2018 Sao Paulo Zero Waste Week, Flock participated in partnership with IED SP and the Ideia Circular from ​​the discussion: “Waste, a design flaw”. After the event, “Green FM” radio station interviewed Léa Gejer, architect and founder of Flock. She talked about the about the difference between recycling and circular economy and prospects for waste management in the 21st century. Léa spoke, for example, about the transition from the current linear economic system to a development of a circular future. One of the highlights of the interview was that Léa explained the difference between recycling and circular economy development. “When we recycle a product, it does not mean that the material would go back to the cycle with the same quality. Recycling works at the end of the line (of production). And that can reduce the quality of the material. And therefore we call this as a downcycle process” explains the architect. 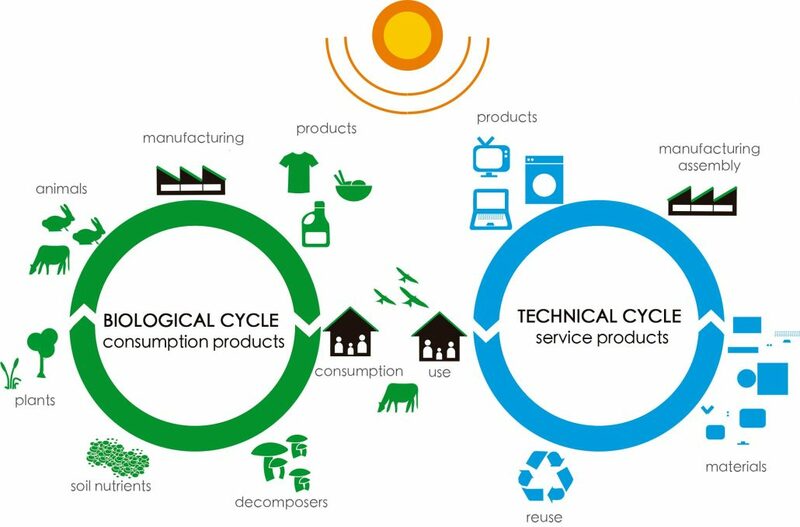 What is the difference between recycling and circular economy? “A good example is the plastic bottle. We spend a lot of energy to produce it. Let’s suppose we decide to recycle that bottle by mixing it with cotton to make a T-shirt. What happens is that we will mix two primary materials. One from the biological cycle (cotton) with one from the technical cycle (which comes from the industry). When you add the two types of material, you create what we call an hybrid material. And to recycle this hybrid product, you have to reduce the quality from both the cotton and the plastic bottle. And that is downcycling” continues Léa. “On the other hand, for the development of circular economy powered by Cradle to Cradle, we work with what we call upcycle. That means we design the products thinking about the two cycles (technical and biological) at the first place. So that at the end of its use, the materials can return to their original cycles with the same quality. Thus, we can say that circular economy is more advanced than recycling. In this framework, we already think in the next cycles of the product or materials from its conception and not only at the end of the production” she concludes. To listen to the full interview, which addresses these and other issues related to circular economy and waste management, click here and listen to the Green FM podcast (only in Portuguese).